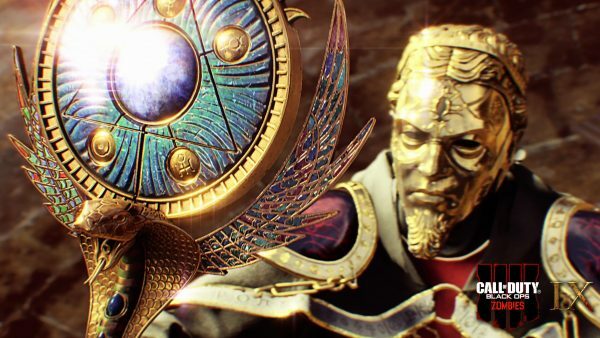 Zombies are back in Call of Duty: Black Ops 4 and have a special feature in Blackout, Call of Duty’s first Battle Royale mode. In Blackout, Zombies spawn all over the map. Upon killing these powerful enemies rare loot will often drop, and there’s a chance you’ll find the zombie-exclusive Ray Gun, providing you aren’t killed by the horde or a lurking opponent. Zombies guard the Mystery Boxes in the Blackout map, which you don’t need to pay to use like in the Zombie mode. Backpacks are also super helpful in Blackout, as grabbing one allows you to increase how many items you can carry to a maximum of 10 items at one time. It’s worth keeping in mind that every time the circle collapses in Blackout, the Zombies become stronger . Their loot also gets better with every circle collapse. Zombies can overpower you quite easily, so it’s worth considering whether you want to give away your position in the hope that they drop some good gear, or set them on an opponent and watch the madness unfurl. We’ve highlighted the zombie locations with yellow circles on the map above. A blue ray of light on the map usually highlights that zombies can be found at that spot. South-East of the Asylum is an open graveyard with a few zombies milling around. It’s quite a cramped space and the zombies can do a serious amount of damage if they get too close. Eliminate them and the Mystery Box will spawn in the centre of this location. As expected, zombies will spawn inside the Asylum and a Mystery Box will appear on the second floor. Just a humble gym that’s infested with zombies. Clear them out and you’ll find the Mystery Box in the centre of the boxing ring. Zombies will spawn outside and will try to corner you inside the Tranzit Diner. Defeat them, climb the ladder and you’ll find the Mystery Box on top of the building. In the most southwestern point of the map is a Lighthouse where you’ll find a swarm of zombies. Take your time clearing them out and be mindful of the circle closing in and on the timer. The Mystery Box appears on the stairs leading up to the top of the Lighthouse. The Cymbal Monkey is particularly useful as you can either use it to lure zombies into the area, allowing you to clear them out for some loot or because you’ve spied a few enemies and want to cause a bit of trouble. With no regenerating health, you’ll be using healing items often, so remember to manage your stocks of first aid, med kits, and trauma kits. It’s also worth picking up and carrying whatever ammo you find as it won’t contribute to your overall inventory capacity.Each ammo type has its own maximum cap, so if you fill up on a certain type you’ll still be able to pick up other types of ammo. Perks play an important role in Blackout and you can head over to our guide to find one that suits your playstyle. We’ve also listed the best starting points on the map as well as how to try and get there first. Have you encountered the terrifying werewolf in Red Dead Redemption 2?